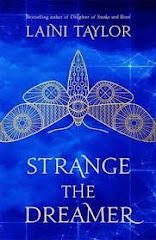 Goodreads Description: When the Angels attack, there’s NO REST FOR THE WICKED. My Review: I was given a copy of No Rest for the Wicked by the author, Dane Cobain, in exchange for an honest review. 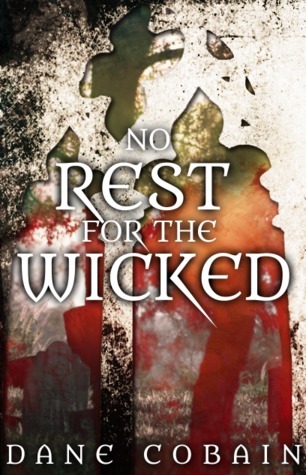 No Rest for the Wicked is a horror/fantasy novel centering around creatures of light that many have dubbed ‘Angels,’ who wander the earth and punish those they deem sinful. Caught up in the mess is Father Montgomery, a weathered priest, and his son, Robert Jones, who has no idea his oldest friend is also his father. The story is told through many points of view, and often incorporates newspapers, articles, and television broadcasts to show the range and scope of the angels’ invasion. The author does an excellent job of building tension, partly through the varied points of view used. The angels do an excellent job of being a foreboding monster who, while claiming to be working for the eradication of evil, are obviously only seeking their own satisfaction. Through random murders, tension builds. What are these things? Where did they come from? The author also has a pleasant flow to his writing. The descriptions are vivid and each scene moves with a steady pace. It was just descriptive enough to give me a taste of the setting without slowing the reader down with too many flowery prose. The book also managed to hook me in quite well, and starting off with the ‘creatures’ killing definitely caught my attention. While the tension starts fast and mounts steadily, I found there was little payoff to the tension. Instead of giving the reader some relief from mounting tension with action from the main characters, the book focuses mostly on mounting tension by killing previously unmentioned characters. We’re introduced to randoms who are then killed, which did succeed in building tension, but after the fifth or sixth scene without any sort of action or payoff, the scenes had lost effect. The characters were another place where I had an issue. So many POV characters was pretty disorienting, especially when those characters never returned or were killed off in the scene they were introduced. I wish the story had been nailed down to the points of views of the main characters and their experience. While the articles and side murders added depth, there were too many and thus became ineffective and took away from the main conflict. The characters themselves, from Montgomery to Robert, felt horribly flat and without much motivation. Montgomery’s backstory was the most interesting part of their characters, and even then his love affair was flat and at times didn’t make sense. The biggest emotional reveal of the book—Robert discovering his parentage—was reduced to one sentence, which made me feel cheated of the payoff. Finally, the climax, in my opinion, fell very short. After such a buildup with murders and people panicking across the globe, it all felt resolved too easily. It also felt like a solution that could have been applied way earlier, and thus saved many more people in the process. Partly because of that, I felt incredibly unfulfilled as a reader. TL;DR: All in all, 1/5 stars. This book reads like an action movie without any of the action.